Here at Northland, you’ll find buildings created for outdoorsmen, by outdoorsmen. As true-blue outdoor enthusiasts, born and bred here in the Northland, we know how to build tough, long-lasting buildings that you’ll love. We know this because we use and love Northland buildings too, from storing our fishing gear to housing our man caves. We specialize in post-frame buildings. Discover all of the advantages to a post-frame building, including flexibility in design, durability, and functionality. You’ll quickly see that your building is a functional beauty, giving you the space you need in the style you want. You’ll be able to customize your building, right down to the finishing touches, seamlessly, and get a building that’s been designed to stand the test of time. We live and breathe the Northland lifestyle 365 days a year, and can help you achieve it too. Northland buildings offer you convenience, style, durability, and value all at your budget. Experience the rugged beauty that only a Northland building can offer. What areas does Northland Buildings serve? With sales offices in Wisconsin and Minnesota, our sales consultants cover Wisconsin, Minnesota, Illinois, Iowa, Upper Michigan and North & South Dakota. Find a rep for your area here! I have a predetermined budget to work within, can you help me get what I want and stay on budget? 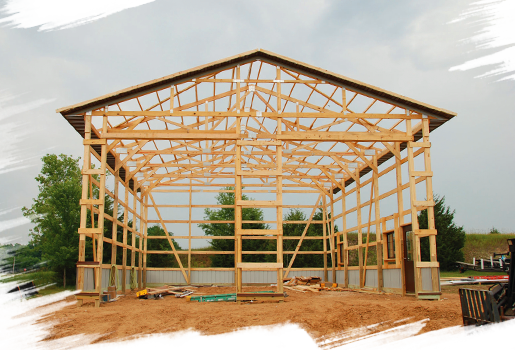 Northland Buildings has a vast variety of building sizes and styles available for any budget, such as garages, agricultural buildings, horse barns, sheds, workshops, commercial buildings and any type of storage building. Do you contract with other companies for deliveries or materials? We have our own company trucks and delivery crews to insure that your materials are handled with care and delivered on time.